After years of false starts, Myanmar’s insurance market is officially open to five foreign insurers—upped after an alleged intervention by State Counselor Aung San Suu Kyi from three life insurance licenses—AIA, Chubb, Dai-ichi, ManuLife, and Prudential. The marks another step by the National League for Democracy-led government to liberalize its decrepit financial sector, following the Central Bank allowing foreign equity ownership of up to 35 percent in licensed banks and permitting foreign investors more space to invest in commercial and retail opportunities. Though a small initial step, allowing new players, including from the U.S., Canada, and the U.K., and eventually expanding the sector will offer a variety of important economic, development, and confidence-building opportunities for the country. Myanmar’s insurance sector is ripe for development—Myanmar is Southeast Asia’s largest mainland country with 55 million people and more than half the population under thirty—but it will take some effort to introduce concepts of risk and insurance in a place that for decades has lacked trust in financial institutions and exposure to and awareness of how insurance works. Myanmar’s life insurance sector is fairly small compared to its ASEAN neighbors with only 0.01 percent of the population having such insurance. Conservative estimates expect that the market should reach $0.9 billion in the next 15 years. The relatively small number, however, does not reflect the impact on the economy and environment for foreign investors. Advocates for the opening note that foreign companies can bring the much-needed resources, skills, and technical know-how to boost competition, quality products, and distribution channels. It also creates job opportunities for Myanmar’s young population as these new license holders are likely to ramp up business quite quickly across the country. There are additional, broader economic benefits as well. Those companies selected this round (and likely future rounds) are expected to match customer policies to government bonds, a policy also used in neighboring Thailand. This capital will be used by the Myanmar government to fund infrastructure, healthcare, and education—critical areas for Myanmar’s short- and long-term development. This influx of cash comes at a time of need and an established (finally) policy direction by the government outlined in its Myanmar Sustainability Development Plan (MSDP), the government’s most detailed and comprehensive policy document published in late 2018. Bringing in foreign insurers offers a less tangible benefit as well: more confidence in reforms and the market. Allowing new investors in this sector helps makes the case for the government champions of economic reformers, demonstrating that these often difficult steps are necessary, work, and worth the risk. It brings in much needed foreign direct investment (FDI) and for the long-run; life and broader insurance policies are not quick turnaround investments. This is especially significant in having Western insurance companies in the market; the NLD has been taking a “Look East” approach to FDI in response to slow investment from Western companies and criticism on the Rohingya issues from these corners. 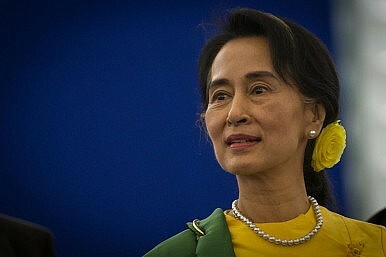 This shows commitment from the West in Myanmar’s economic development and reform efforts. It also signals to foreign investors that reform is happening and there is now access to recognized companies offering products to cover risks and provide financial incentives to invest in such a market. The NLD should consider carefully how to approach infrastructure with this injection of funding and to further liberalize the sector to take full advantage of the economic benefits it brings to bear. Funding generated from bonds should pursue necessary and carefully considered infrastructure projects, outlined in the MSDP and reflective of its guiding principles, that are safe, competitively bid, and take into account long-held sensitivities of impacted communities, particularly those in conflict areas. Allowing the newly licensed and future license holders to expand product offerings and services such as micro and agriculture insurance could serve a wide swath of Myanmar’s population, particularly rural citizens who are often the most at risk and have few wealth generation and protection opportunities. Myanmar’s mobile network covers nearly the entire country, allowing insurance companies and other financial institutions to reach previously unreachable populations. Microinsurance, already covering 20 million people in neighboring Bangladesh and Thailand, offers better priced products for individuals and families, even those that make less than $10 per day, that can’t afford a standard premium and allows them to better assure present and future financial security. The Swedish insurance company BIMA did just this in Ghana, and has since reached more than 26 million customers in 15 markets, many of them first time insurance customers and living on less than $10 per day. In a country where agriculture is the economic backbone but many farmers are subject to the impact of climate change and other natural disasters, products such as weather index insurance or other products could provide much-needed peace of mind and a way to edge these farmers away from financial ruin. Additionally, as Myanmar pursues universal healthcare, insurance companies would be well positioned to come up with products to support this effort and expand market presence, including insurance-led healthcare products such as telehealth, access to medicine, and electronic medical records. For this opening to succeed, both the license winners and government must undertake critical efforts. Companies will have to make the public aware of the utility and scope of insurance products as well as create effective distribution channels that are user friendly. The NLD-led government for its part should build on the economic reform momentum it has generated to attract and spur investment and continue to open this and other financial sectors including ensuring the appropriate laws are in place that contribute to economic development, a stable environment, improves livelihoods, and allows companies to flourish. Both companies and the NLD have taken these small leaps of faith; we’ll have to see if it was worth the jump. Erin Murphy is founder and principal of Inle Advisory Group, a business advisory firm focused on Myanmar and emerging markets. She previously worked on Myanmar issues in the U.S. government, including as a special assistant to the U.S. special representative and policy coordinator for Burma.